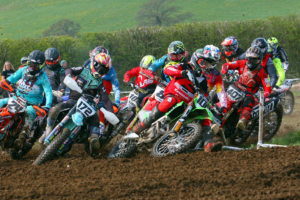 The Bridgestone British Masters Motocross series begins it’s Championships this weekend at Culham in Oxfordshire at the second time of asking after their initial opening round at Hawkstone was postponed due to the weather. A host of big name Pro racers will be gunning for glory, none more so that reigning MX1 champion Elliott Banks-Browne, who makes his return from injury aboard his Geartec Husqvarna. Last years runner up Ryan Houghton from the Rob Hooper Racing Yamaha team will looking to replicate his first ever Pro victory from Hawkstone last year and will have his eyes firmly set on the title in 2019. Jake Shipton fresh from winning the first round of the South West Masters last weekend will certainly be a contender as will the likes of fast-starting Jake Millward, Buildbase Honda’s Lewis Tombs, Dan Thornhill and Brad Todd. With 2018 MX2 Champion Josh Gilbert away on EMX duty a fresh bunch of hopefuls will be looking to get their name on the Pro MX2 trophy with Martin Barr being the most experienced of the lot and certainly a stand out favourite but this is motocross and anything can happen, and anyone can step up their game. Another Rob Hooper Racing team racer Taylor Hammal has shown tremendous speed this year but not the results to justify it, but this weekend could be where it all comes together. Carlton Husband will always be in the hunt especially in the MX2 class, as will Matt Burrows, and throw in the young guns like Dominic Lancett and Jay Hague, and the AMCA top dogs Josh Coleman and Josh Waterman it’s sure going to be an interesting contest. 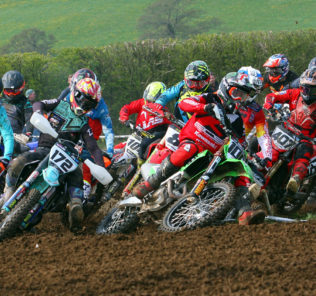 The Pro’s race just on the Sunday but on Saturday (and Sunday again) the cream of the Youth crop will be on show with the 65’s, Small Wheel 85’s, Big Wheel’s 85, MXY” the 125’s, Clubman and Amateur classes all doing battle for their respective titles. Spectator admission prices are £10.00 per adult, £5.00 per child, £5.00 per senior citizen and under 5’s are free. This price is for the whole weekend and camping is free of charge.